This will be a tough one to get for sure. 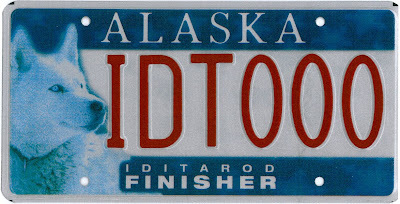 Full details on The Alaska DMV Iditarod Finisher plate page. 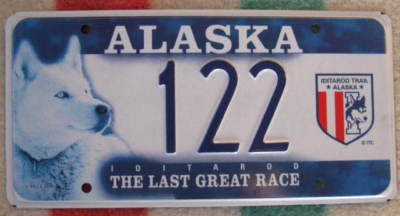 Also covered by The Juneau Empire article about Alaskan Iditarod Finisher plates. Trivia item: That's Alaska collector Fred Agree's dog, Blackie.